Home Relationships RICHEST MUSICIANS IN KENYA..HERE IS THE LIST. Akothee tops the list of wealthiest musicians in the country with an estimated net worth Ksh600 million. Jaguar is one of the stories that inspire Kenyans. 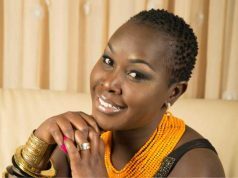 From rags to riches, the singer is now ranked second richest musician in Kenya. The Kigeugeu singer is also an entrepreneur with a portfolio that consists of a taxi firm, security company, auto garage and real estate. He also owns a Ksh20 million house in his backyard. His accounts and assets sum up to Ksh 350 million-that’s what describes Jaguar in regards to wealth. David Mathenge aka Nameless is also a man of means. His music journey started in 1999 when Capital FM was searching for talent, Nameless emerged the best. Thereafter, the deep voiced singer released hit after hit, collaborating with the late E-Sir and other top artistes. In a span of 10 years, the singer managed to accumulate quite a substantial amount. Size 8 is a gospel musician, who until recently was into secular music. Not many Kenyans know that this artiste, who is married to DJ MO, is extremely rich. Nonini is a co-pioneer of Africanised Hip Hop, Genge. He works foe One FM as a Breakfast presenter. Famously referred to as The Godfather of Genge, he runs three studios that enjoy massive airplay locally, which made him the highest paid artist in 2012 by MCSK. Nonini launched a foundation, Colour kwa Face Foundation to fight for the rights of people living with albinism. WHO IS RICHEST MUSICIAN IN KENYA 2019? According to the recent stats conducted by our sniffers,Ringtone whose real names are Alex Apoko is Kenya’s Richest Musician as per now.Ringtone has been seen severally bragging on social media daring any musician who thinks has more wealth than him to come out. Here are the top richest people in kenya. Find out if Kenyan musicians also find their space in the list.THEY OWN HALF OF KENYA WEALTH. LIST OF TOP 100 RICHEST PEOPLE IN KENYA.